Various Land Art projects were realized all over the Netherlands as part of the exhibition 'Sonsbeek Buiten de Perken' (1971). This one consists of two elements whose basis is the circle. 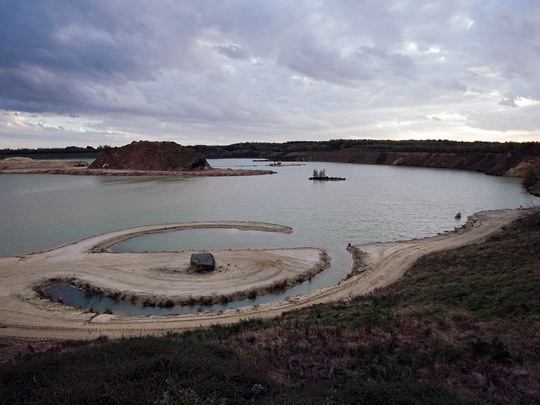 On the edge of a stretch of water, a by-product of land reclamation, is a semicircular plateau with on it a glacial boulder, surrounded by a semicircular jetty and a water-filled counterform. Close by is an artificial hill up which a sand path spirals to the summit. The Land Art project, one of two realized by Robert Smithson, is fragile and requires constant maintenance.